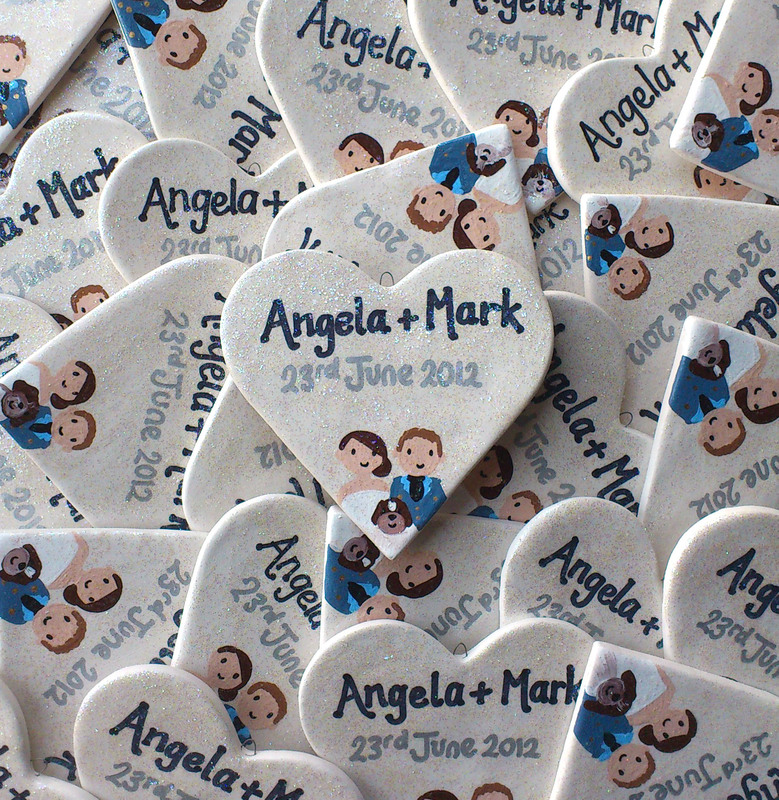 Here is a new idea for personalised wedding favours, or as a gift for the bride and groom. 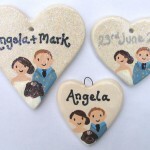 A ceramic heart with a little painting of the bride and groom is a lovely personal touch for a memento that will last forever. 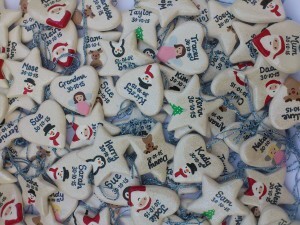 Each one is hand painted and can have the bride and grooms names and wedding date added. 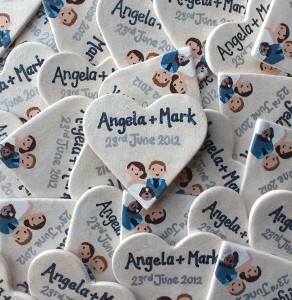 They are a lovely keepsake for the guests to take home. 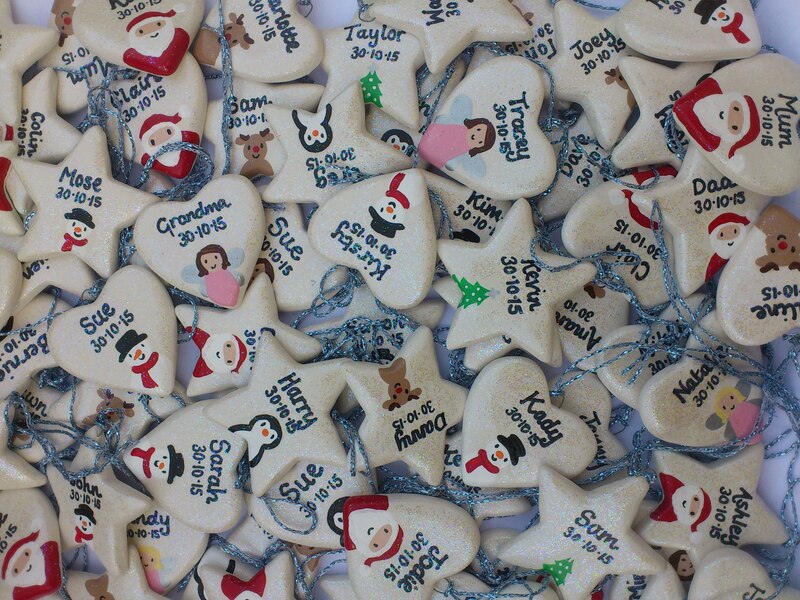 They could be ordered in any shape, size or design, just contact us for a quote. Pictures below are some of the different size options available in the hearts. With or without sparkle, large, small, date, names, black or silver text the options could be endless. Why not order a personalized heart for each guest a mini picture of each guest with their name on could be painted,it’s a very special way to have a place card that can be kept forever. Maybe a little flower could be added or hearts, whatever your theme it could be made to tie in with it. Favours are a lovely way to dress the table and are an even more thoughtful gift if they can be taken by the guests to remind them of your wedding day. Because they are ceramic they are top quality and will last forever. 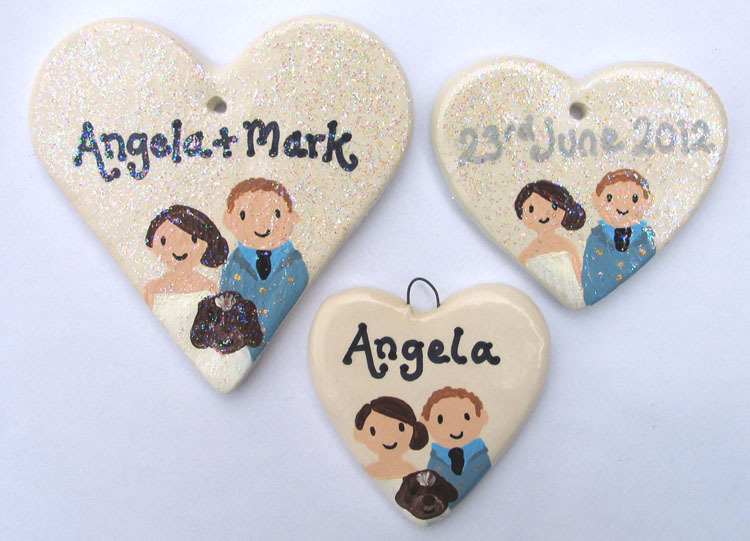 Here is a recent order of a Christmas themed wedding, with personalised pottery hearts and stars painted with a Christmas picture. Any picture could be added to match your taste or wedding theme.